Color Red, Purple, White, Black and much more. 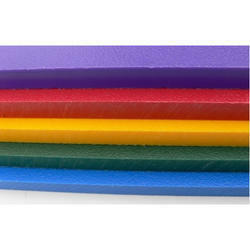 We are the largest manufacturer and importers of High Density Polyethylene Sheets commonly known as Virgin HDPE Sheets in all colors, sizes and thickness. We have ready stock of material and impeccable quality. Our products can be availed at industry leading prices. Being the leading names in the industry we are involved in offering a wide range of High Density Polyethylene Sheets. These sheets find their application in radiation shielding, food cutting boards, pipe flanges, lavatory partitions and corrosion resistant wall coverings. In addition to this, we also assure to deliver our products in a stipulated time frame. 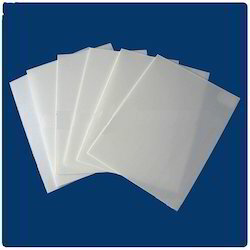 High Density Polyethylene Sheets (HDPE Sheets) are manufactured, imported and supplied by ushave excellent chemical resistance & are used in the construction of chemical equipment, fabrication of card cans for textile industry, artificial limbs, vacuum formed products etc. Raj Incorporated manufactures, imports and stocks the International quality range of Recycled HDPE Sheet. 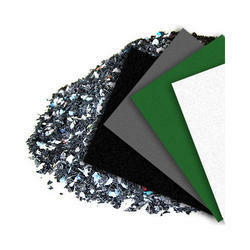 This sheet is recycled using an excellent quality raw material as per the set industry standards. Known for their high strength, chemical & corrosion resistant finish, impact resistance, non-toxicity, low moisture absorption.